In a time wherein online technology improves day to day, search engine optimization progressively gets better as well. But with this much evolution, it is only inevitable to come across several kinks and technical issues. In fact, if not all, most SEO companies who offer link building services may have encountered these technical problems at some point. Staying on top of the search engine optimization game means producing highly competitive and excellent content but this would not be of much use if your site has technical and structural issues and problems. Your site can yield the best content in the word but it would be rendered useless and would not be much help to your search rankings if you continue to have website problems. The SEO community has collectively weighed in on the most common technical issues that can adversely affect your site’s search ranking. A lot of these technical hurdles (duplicate content as an example) have been in existence for years. But it is important to consider, that as the search engine optimization game develops (and should you want a website that stays on top of the competition), cleaning up site messiness should be one of your priorities. After all, an effective SEO’s formula seems to be one-third on-page optimization, one-third off-page optimization (backlinks) and a clean website structure free of technical issues and kinks. 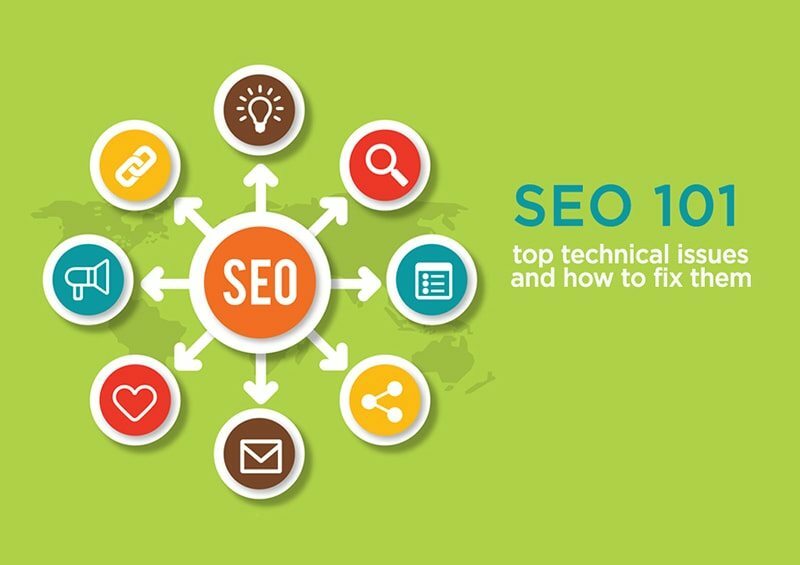 Here are the top 10 SEO technical issues in the past year, along with guidelines on how to properly address them. With smartphones and tablets making a major prominence in digital connectivity, it is extremely unwise to overlook this. With users wanting to stay online and connected for the most part of every waking moment of their lives, staying connected through a smartphone or a tablet is not only handy but rather convenient as well. This is why this aspect should be given just as much importance as the others. Shall your website offer shoddy user experience on smartphones and tablets and is slow to load on mobile devices, visitors will more likely than not click away (increasing your site’s bounce rate). A site that is lean and loads fast is essential as these are key things to consider on a mobile. Responsive design (when a website displays automatically and correctly for both mobile and desktop devices) provides an experience that tailor fits the device but is basically the same content for all users. This, in turn, would improve secondary signals that Google takes into account search rankings (which collectively includes page visits, the duration of a visit and bounce rates). Another necessary thing to consider is the navigation system of your website. This is because in order for visitors and users to interact with your website, it has to be easy to navigate and get around to. If your website does not offer a sleek and user-friendly navigation system, visitors are not likely to stick around and engage with your site. As a result of your site’s clunky navigation system, the site would most likely be considered as irrelevant and not deemed useful to visitors and thus would not be very impressive and perhaps tank in the rankings of search engines. Remember, search engines have a business to run as well and that is showing the most relevant and top-notch resources to their users. So consider tailoring your navigation system to be user-friendly and it would reward you with higher visitor interactions. This is relatively obvious however it is still of much relevance as it is still rather prevalent nowadays. As a matter of fact, this was cited as the top technical concern. Succinctly, duplicate is any content that is “appreciably similar” or exactly the same as content that is already residing on your site, according to Google Webmaster Tools. Another source of duplicate content includes the use of both “plain” and secure protocol URLs such as HTTP and HTTPS; no preference for a www.domain.com versus domain.com (without the www. ); syndicated RSS feeds and blog tags. This issue can also result from common content management system (CMS) functionalities, including sorting parameters. One of the remedies is to crawl your site looking for duplications and apply “crawl directives” to give Google information of the relative value of multiple URLs. Using “robots.txt” (file that allows you to control how Google’s bots crawl and index your public Web pages) is a useful tip in telling Google the specific folders and directories that are not worth crawling. It is also a good idea to fix this issue by choosing one URL that you want as your main URL. It is a matter of preference but once you choose one, stick with it. All your other URLs should redirect to the main URL. To complement entertaining and information-rich content, many websites emphasize on alluring and stunning visuals without taking into account how those images may negatively impact search rankings. A lot of website owners are using images with beautiful fonts, eye-catching colors to make the page visually aesthetic but to Google, this is simply just an image. By using a combination of Web fonts, HTML and CSS it is possible to retain the beauty and achieve quality SEO by creating all of the text elements within a banner’s live text. Take note, quality SEO should never be compromised for pretty visuals. In this way, you are not only providing your visitors a speedy page load but ease with their website experience as well.